Prosecutes and defends serious crime. Bar Practitioner Training Course, graduated July 2016 with an award of Very Competent. Postgraduate: LLM Law Masters in Human Rights with Merit, graduated February 2015. Undergraduate: LLB Law Degree with First Class Honours, graduated July 2013. Rose Slowe is an Honorary Research Fellow at the University of Bristol Law School, where she completed both her Undergraduate Law Degree with First Class Honours and her Masters in Human Rights Law in 2013 and 2014 respectively. Since then, she has been published frequently in relation to matters of law pertaining to the UK’s relationship with both the Council of Europe and European Union, with particular focus on reviewing the legality of the Brexit process. As a result of one particular publication – S. Greer and R. Slowe, ‘The Conservatives’ Proposals for a British Bill of Rights: Mired in Muddle Misconception and Misrepresentation?’ (2015) European Human Rights Law Review, p.370-81 – Rose was invited, by Human Rights Watch, to be a panel member in a debate in the Houses of Parliament on whether the Human Rights Act was fit for purpose. Most significantly, prior to commencing Pupillage, Rose co-authored a book on European Human Rights Law with Professors Greer and Gerards, which was published by Cambridge University Press in March 2018: S. Greer, J. Gerards and R. Slowe, ‘Human Rights in the Council of Europe and European Union: Achievements Trends and Challenges’, Cambridge Studies in Law and Policy (Cambridge University Press, 2018). This “excellent and important” monograph has been praised as a “a major, timely and welcome contribution to the literature on European human rights law” and “one of the first comprehensive book-length studies of Europe’s two principal human rights systems, a valuable resource for those interested in the broader picture of human rights in Europe”. In April 2018, Rose and her co-authors were invited to lecture about the thesis of their book at various Ivy League universities in the United States. 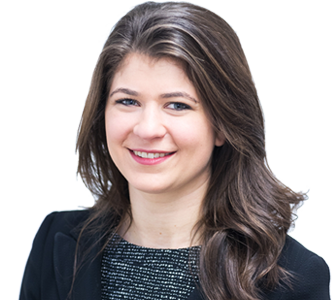 During her Pupillage, Rose has assisted Mukul Chawla QC and Henrietta Paget prosecute two separate 5-handed murder trials at the Old Bailey, each listed for 6 weeks. She has assisted the successful prosecution and defence of a variety of other serious cases, including GBH and multi-claimant sexual offences, and was instructed as a Noting Junior on an 11-handed serial sexual grooming trial at Oxford Crown Court. Rose has also assisted with a number of Judicial Review cases in the High Court and various criminal appeals before the Court of Appeal. Further, she participated in the Law Commission consultation on the new Sentencing Code.